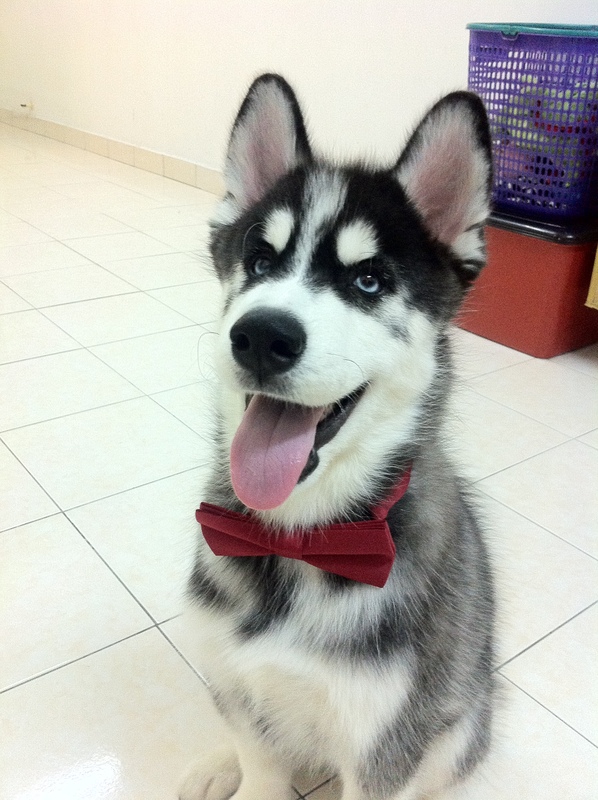 Cloudy is totally rocking the red bow tie! 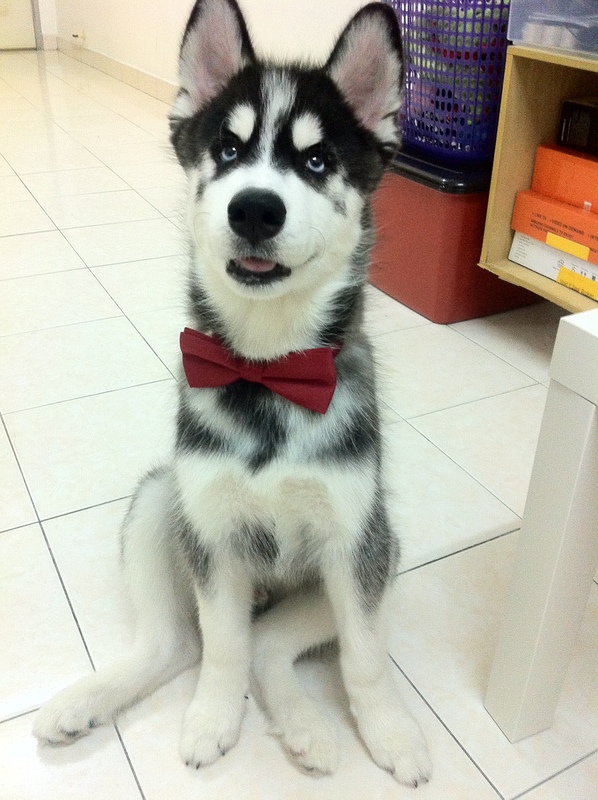 The day I brought my boy home, I already have the intention to dress him up with bow tie. 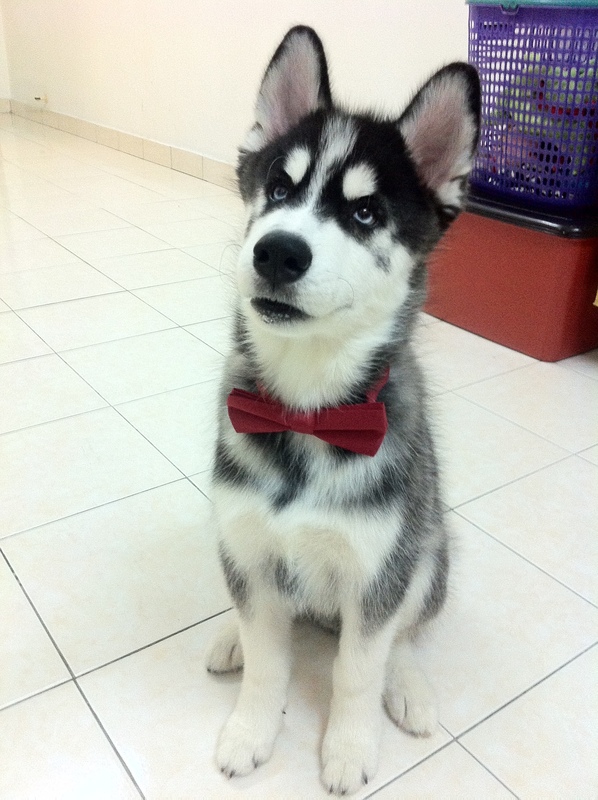 Gawd, you gotta admit, HUSKY really do look good in bow tie! My boy is so darn handsome!